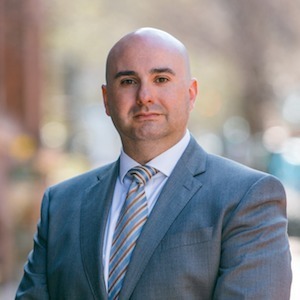 Ben Gagliardi began his career in Real Estate in 2007. Starting off in the most challenging real estate market in a generation shaped the values that he brings to each transaction. His philosophy is hard work, extensive due diligence, effective negotiation, communication, and collaboration lead to the best outcomes for his clients. He has a deep knowledge of the Chicago market, current trends in pricing, construction & development, and is always a committed advocate for his client. Ben represents residential sellers & buyers, advises on real estate investment purchases, sales, and development. With a focus on representing luxury buyers, in 2018, he represented the buyer of Roscoe Village’s highest ever home sale, a $2.65 million-dollar purchase. His residential and commercial sales average over well over $1.5 million per unit. He regularly works with clients in Roscoe Village, Lakeview, Lincoln Park, the West Loop, and throughout Chicago’s North Side, as well as the North Shore and Western Suburbs. As part of the Kasper Group at Compass, he regularly consults on the viability and location of development projects. A lifelong resident of the Chicago area, Ben attended the Avery Coonley School in Downers Grove, Benet Academy in Lisle, and the University of Colorado in Boulder. He’s made Chicago and Park Ridge his home for nearly twenty years. Ben is an avid tennis player, cyclist, and outdoorsman. In his free time, he can often be found in the woods near his Park Ridge home with his Bracco Italiano, Dutch.